The SP Winter Response provides better traction and road feedback and therefore a high level of confidence on slushy, snowy, wet and dry roads. 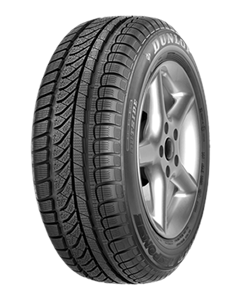 Thanks to Dunlop's recently introduced Touch Technology®, the Dunlop SP Winter Response provides more road feedback for a controlled drive in any Winter condition. Balanced performance for all winter conditions: balanced performance on wet, snow and ice. Outstanding traction on snow, excellent cold-weather grip and superior road feedback. Better control in any winter conditions, including severe. Two types of blades to deliver better stability, traction and control. Well balanced winter, wet and snow properties. Sorry, we currently do not have any tyres with the SP WinterResponse pattern in stock.